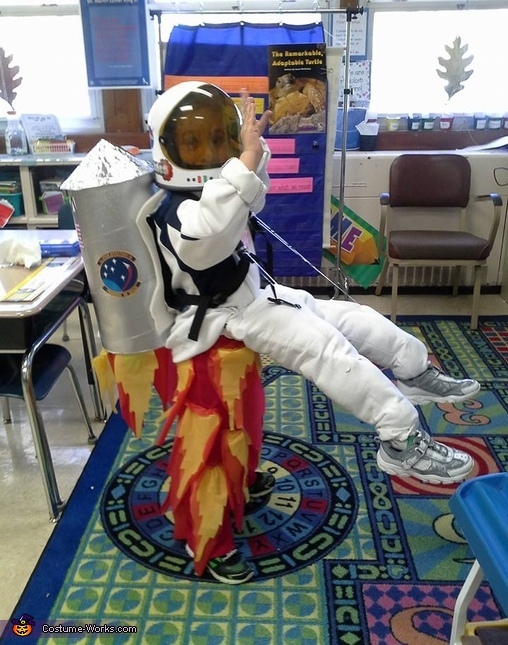 My youngest son Paul wanted to be an astronaut, we wanted to give it a twist. We made his legs flames, gave him fake legs mad from PVC pies and a rocket backpack made from cardboard & tin foil. He had a "blast"